With flavors like Vanilla Custard, Frosted Gingerbread, and Catherine the Grape, it's hard to believe any of the Velvet Cloud e juice flavors could taste bad, but even the best e juice can leave a horrible aftertaste if the base, nicotine level, or equipment aren't what you need for the best experience. Propylene glycol or PG is a liquid used as a base for some e juices. Higher PG levels give the juice what some would describe as a sharp flavor. It’s included to mimic the throat hit that comes with analog use. Vegetable glycerin or VG is a sweet, thick liquid that is also used as a base for e juices. The higher the VG content, the less throat hit you feel and the more vapor you will produce. Generally, e juices are made of a combination of PG and VG mixed with highly concentrated flavor. Some companies use the same flavors found in candy. If there is more PG than VG, the e juice flavors won't taste as sweet, but the throat hit will be strong. If the e juice has more VG than PG, it will have a milder throat hit but better flavor and more vapor. Velvet Cloud specializes in juices with 100% VG content for optimal flavor and stellar plume production. For people just entering into the world of vaping, nicotine levels are an important option that few new customers understand. Choosing the right nicotine e juice flavors will make all the difference. Without experience, making the right choice can undoubtedly affect your vaping experience. How old is your atomizer? Just because you’re still getting huge plumes from your tank doesn’t mean your atomizer is working correctly. When an atomizer starts to burn out, that burned flavor infuses into your e juice. With every use, you're getting what almost tastes like burnt fabric. To improve the flavor, drain your tank, change out your atomizer, and refill your tank with new e liquid. Give the cotton in your atomizer a few minutes to soak up the juice before vaping or if your atomizer requires priming, remember to drip in three to five drops of e juice directly onto the cotton, or follow the priming instructions that came with your tank. One of the mistakes many new vapers make is in battery choice. Small tanks and all-in-one units supply much less energy or power than a battery you’d use with a large sub ohm tank. Having multiple vaping setups can get expensive, but vaping e juice in a tank that is overpowered by the battery will ruin the flavor in minutes and likely burn out your atomizer soon after. At Velvet Cloud, our name says it all. We want every customer to purchase e juice flavors that are tempting to the palette, feel good in the mouth, and produce a volume of vapor the customer desires. A velvet cloud of vapor, if you will. Unfortunately, hardware issues and the PG/VG ratio can strongly affect these flavors. When Velvet Cloud started in 2011, they set out to set the standard for premium e juice, and they succeeded. An in-house e juice chef develops complex, original flavors in the company’s flavor house. If you visit their website at VelvetCloud.com, you are certain to find a flavor that is perfect for you. If you are on the fence, you can email a flavor expert at info@velvetcloud.com. When you hear the word premium, what comes to mind? Many people think of mind blowing fast cars, shiny new watches, or possibly even a new suit hand tailored to fit you perfectly. The people at Velvet Cloud have a bit of a different definition for premium. For them, when they hear the word premium, they think of premium vapor juice. For their e-liquid products, they use only the best ingredients on the market and refuse to settle for anything less. They also have a wide variety of different flavors so no matter what taste you are craving, you can find it in a bottle of e-liquid from Velvet Cloud. They make the best of the best, so when you order a bottle you can make your choices with confidence. Using the best ingredients is a key factor involved with creating the premium vape juice they offer on their website. They start with an unflavored base that consists of the purest of USP vegetable glycerin, water, and nicotine as an optional final ingredient. From this, they create the magical flavors that you know and love. They pride themselves on using ingredients that never have anything “weird.” This means no gluten, no GMO’s, no animal products, no added sugars, and no artificial sweeteners or coloring. 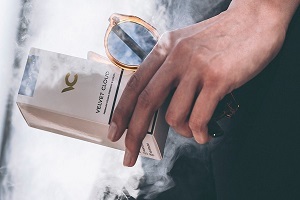 When you take a drag from your favorite vape pen filled with one of the VG blends from Velvet Cloud, you can rest easy knowing that it is made from the purest ingredients and the best recipes available on the market. Once you figure out that Velvet Cloud is the best of the best in terms of using the right ingredients to make the most fantastic e-juice, you’ll find that they also have some of the most delicious flavors that will fit in with any desired flavor profile. If you are looking to bring yourself back to the memories of sitting around a crackling fire with your best friends, you can buy a bottle of their ‘Campfire’ flavor. It is reminiscent of a perfectly made s’mores treat, with toasted marshmallow, rich melty chocolate, and a crisp and sweet graham cracker. If you want something a little less sweet, you can order yourself a ‘Tobacco Trio.’ This offers you the best flavors that are still similar to whatever method of nicotine ingestion you are more used to. You can test out the three favorite flavors of the experts that make it and find your absolute favorite to order on a regular basis. Whatever your view of premium may be, there is no denying that the best premium vapor juice is offered by Velvet Cloud. With the absolute best ingredients in every bottle and the most wholesome formula possible, their fantastic recipes will makes for some of the tastiest flavors that will bring you back to some of your fondest memories. Whatever you are looking for in a bottle of e-juice, you’ll find it with Velvet Cloud. Visit them online today to see for yourself! Over the past five years, vaping has surged in popularity. The act of vaping gives users an experience that is unique unto itself. Vape users can enjoy the different e liquid flavors available and pick and choose their favorites to carry so that they can vape delicious flavors whenever they want. There are so many different flavors available in the vaping industry. With so many flavors on the market, e liquid businesses need to do everything they can to create a flavor profile unlike any other. At Velvet Cloud, we offer high VG liquid that is unique and extremely enjoyable. You’ll love the multitude of flavors our online shop provides. I can’t emphasize this enough, the process that goes into creating each and every flavor we have available is extraordinary. We manufacture our flavors with an expert e liquid chef that pays extra attention to detail and cares about what we put into our products, just like we do. There will always be a berry and fruit-centric flavor to vapes. They’re awesome, juicy flavors, and there’s nothing more enjoyable than refreshing blueberry-flavored vape juice in the middle of a hot summer day. But, what if we told you we made VG liquid flavors that taste like gingerbread cookies or sweet peach tea? The diversity in flavors for vaping is almost endless. When it comes time to brainstorm for more vape flavors, we’re always looking for fun and exciting flavors to produce in our labs. That’s not all, however. When our team creates our VG based e liquid, we make sure to stick to environmentally friendly guidelines. All of our flavors are vegan and gluten-free, with no additives. On top of giving our customers high-quality e liquid, we want to assist in giving animals a better quality of life. So when we make a sale, a portion of that sale is donated directly to non-profits or organizations that are dedicated to making the lives of animals around the world better. Look, as vaping enthusiasts ourselves, we understand the feeling of really enjoying the vaping experience. We want to try out different flavors and share this experience with everyone who is as passionate as we are. That’s why we’re dedicated to giving you the great customer service where you’ll be sure to receive your shipments in a timely manner. We’ve always got employees working at different times of the day in our organized offices that are working hard to ship everything out. In fact, some of them will show up to the office on weekends to fulfill different orders on time. When you place an order with us on our online shop, you’ll receive it as soon as possible. For those ordering in bulk, take a look at our wholesale section when you visit our website. You’re always going to find something different that you’ll wind up enjoying immensely. It’s always varying, so look as often as you can. Between the products we have for sale and the prices we offer, you won’t want to miss out. If you need any assistance from our staff, don’t hesitate to ask! We can be reached by email at info@velvetcloud.com to answer any questions about our products or an order you have placed. When you purchase something online it is hard to tell if you are getting a product that is worth the money you are spending. If you are looking for a premium vapor juice, you can stop searching for that perfect product. Velvet Cloud has the best vapor juice on the market. They use the purest products available today to create flavors that will wow any palate. Using wholesome ingredients is a standard that the people at Velvet Cloud stand by in every batch of vapor juice they ship out to the general public. They use a base consisting of only pure USP vegetable glycerine, nicotine, and just a little bit of pure water to make your hit as smooth as it can be. When you start with such pure and real ingredients, you can cut out any of the bad ingredients that can make your vapor juice less than perfect. They also flavor their products with naturally-sourced ingredients, and they make sure to leave out any artificial sweeteners, coloring, sugars, GMO’s, gluten, and any type of animal by-products. They also ensure that their products are never tested on animals, so if you pride yourself on being an ethical person, this product is definitely the right one for you. One could compare their ingredients and flavors to what you might find at a farmer’s market. These wholesome and naturally-sourced ingredients are the best way to start a product to make the cleanest and most satisfying hit possible. When you have a product that starts with the best ingredients, it is no surprise that the flavors that emerge are the best in the world. No matter what your personal tastes are, you can surely find a flavor that is perfect for you to use on a daily basis. 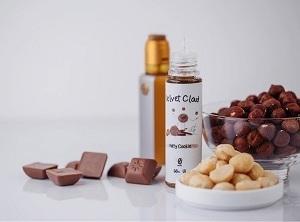 If you are the type of person that is looking for premium vapor juice to satisfy your daily sweet tooth, Velvet Cloud has a number of dessert flavors you’ll love. 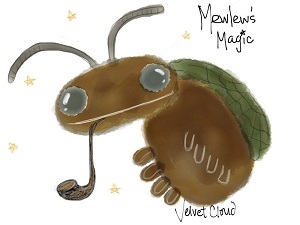 One of their personal favorites is Mewlew’s Magic. It features notes of chocolate, butterscotch, and fudge to give you a rich, full flavor with every hit you take. If you want something sweet but are looking for something a little lighter, they also have a number of wonderful fruit flavors. Those looking for something regal may be interested in the flavor Catherine the Grape. It not only has flavoring of grape, but it also has some berry and black currant flavors to add a subtle depth to each hit. If sweets are not really your thing and you are looking for something a little more reminiscent of the traditional tobacco taste, Velvet Cloud has some amazing flavors to choose from. 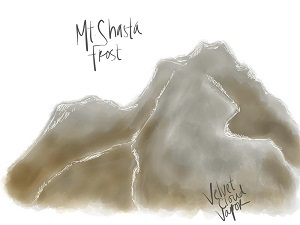 Mt Shasta Frost has the menthol flavor you know and love, in addition to mint, spearmint, and peppermint. 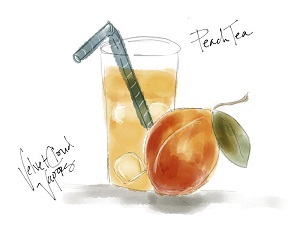 This flavor is incredibly crisp and refreshing and one you are sure to love endlessly. 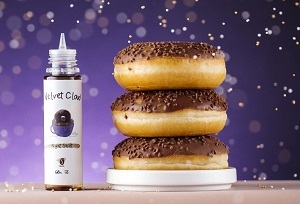 If you want something to satisfy your sweet tooth without the calories, and are looking for something to bring back memories of smoking a pipe, Velvet Cloud has exactly the product you want. They make their premium vapor juice using only the freshest and most pure ingredients, so you can be sure that every hit you take will be clean, full, and flavorful. 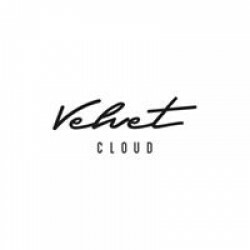 You never have to worry about which online brand you buy from, since you know that the best brand on the market is Velvet Cloud. Save your time searching and buy from the best, so you can have your favorite flavor on your doorstep as soon as possible! Never worry about shipments being late either. Our wholesale products ship domestically AND internationally. Our three warehouses in different parts of the United States will make sure that you get your order as soon as possible when you order from us. High-quality customer service is a significant part of how we do business with our customers. We want you to enjoy the hard work and great flavor we've put into our products as quickly as we can get them to you. With our locations and our system, we truly believe we can give you that.